We really went to the mat for heirloom seeds and local varieties this year. Lu started a bunch of vegetables indoors, under grow lights, so our veggies could get in the ground as early in the season as possible. The result has been the opposite of impressive, and it can be a wee bit irritating to see plants bought at Home Depot blast off like kudzu while one's own special little darling plants falter and fumble their way to humble growth. 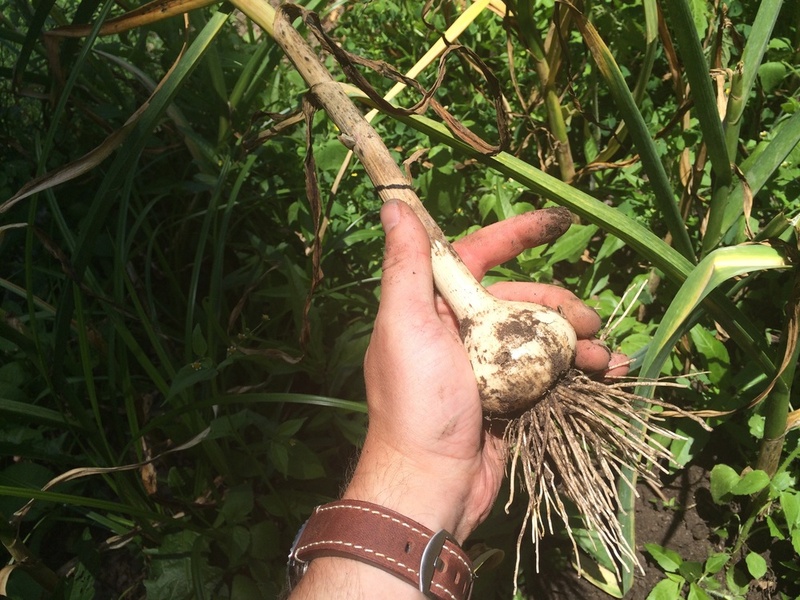 A local farmer friend provided the seed bulbs for this garlic, so its success buoyed up our spirits. In early July, we unearthed the bulbs. They range in size from meh to wow. Now they're hanging up to dry next to our front door, in case any traditional vampires come by to tell us about Jesus Christ. I'm told they should stay there until the leaves turn yellow. 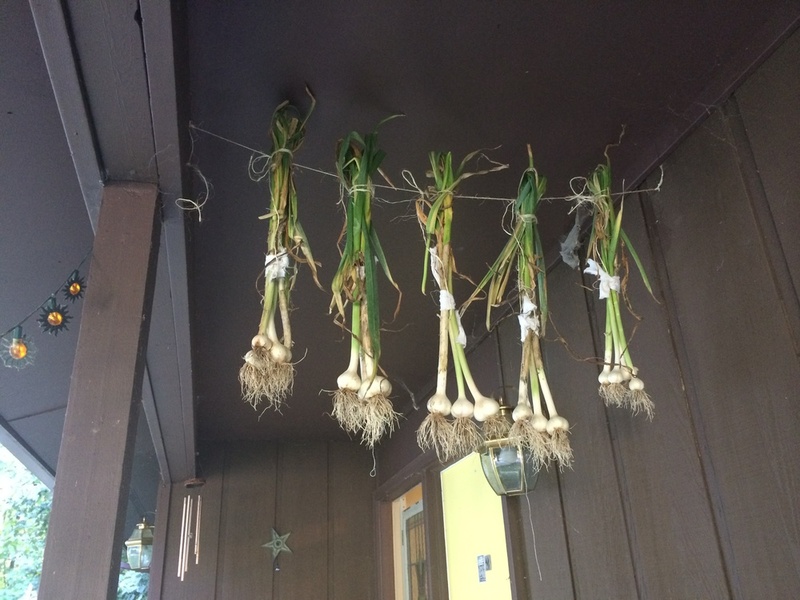 Then we can separate out the garlic we want to plant this fall (the largest ones, so I can unnaturally select in favor of bigness) and cook with the rest. Now there's hope again in the garden. Older PostLike a detailed assembly diagram of complex machinery, but for music.